Trick or Treat is a customary phrase used on Halloween in many countries. It is used by children in costume traveling from house to house asking for treats. The most popular treat is candy. The “trick” is a threat to perform mischief on the homeowners or their property if no treat is given. This has been a customary Halloween tradition in North American since at least the early 1950s. Some homeowners go all out by decorating with fake spider webs, carved pumpkins, witches, and more. Others will either only have candy to give out or just leave a bowl of candy on the porch. Danforth has decided to participate in the TREAT part of trick-or-treating this year and is giving away a free pair of earrings. 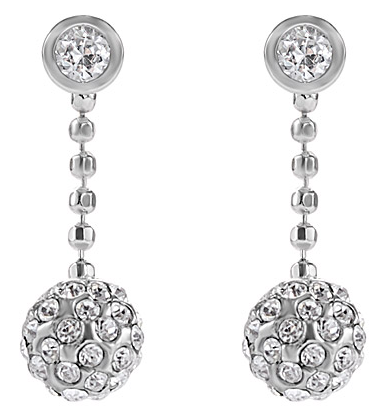 The earrings are sterling silver dangle disco balls set with cubic zirconia. They are perfect for all of your Christmas and New Year’s parties this year. Like Danforth on Facebook and tune in to our Facebook page on Halloween morning for the giveaway instructions. Happy Halloween and have a fun and safe trick-or-treating experience this year. Have you spent your summer watching Bachelor Pad or Say Yes to the Dress? Or maybe a wedding or relationship has developed on your favorite sitcom. Well now it’s your time. We are officially in the middle of National Singles Week. This is a time for you to celebrate that you are single and embrace it. 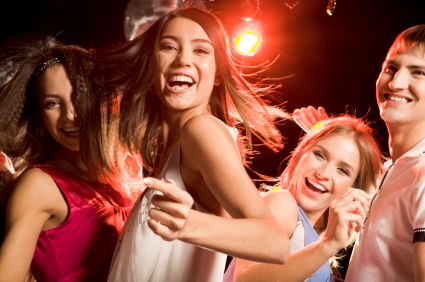 National Singles Week was started in Ohio in the 1980s. It is designed to celebrate singles and their contributions to society. You do not have to actually be single to celebrate this week. This week is to be celebrated if you are not married. That means if you are a parent, a partner, or are widowed or divorced, it still counts. This week is now celebrated all over the United States in the third week of September. In 2010 there were 99.6 million unmarried people 18 and older in America. This is equivalent to 43.6 percent of the United States Residents in that age group. There were 88 unmarried men for every 100 unmarried women. Natasha Bedingfield sang “This is my current single status, My Declaration of Independence” in her popular song “Single.” This week is for all the single men and women, no matter the circumstances on how you got there, to celebrate. So how will you celebrate National Singles Week? Will you go to dinner with some friends, make a date with somebody special, or unfold in a book or favorite hobby? It doesn’t matter what you decide as long as you celebrate this week for you in your own week. Happy National Singles Week! For all of you Bachelor and Bachelorette fans, there was a shocking proposal last night on the finale of Bachelor Pad, Season 3. Tony Pieper poppe d the big question last night to Blakeley Shea. The couple announced on live television that they were moving in together and after that Tony shocked everybody with a proposal. Tony, from Emily’s season of the Bachelorette and Blakeley, from Ben’s season of the Bachelor, met on Bachelor Pad Season 3. They were not paired together at the beginning of the show but after drama and people getting voted off, the couple found each other. They hit it off fast and their first overnight date was where the magic really sparked. The couple announced right before the surprise engagement that Blakeley would be moving to Portland, Oregon to move in with Tony. Tony, a single father, popped the question by stating that she was the perfect addition to his family and he could not imagine spending his life without her. Blakeley was shocked but of course she said yes. Tony produced a black Neil Lane box out of his pocket and presented Blakeley with a lovely halo ring. Neil Lane is the designer who always does the ring for The Bachelor and The Bachelorette. All of the contestants admit to coming to Bachelor Pad for the money, and if love happens than it happens. Blakely and Tony seemed like an unlikely couple at the beginning but it just goes to prove that love can be found when you least expect it. 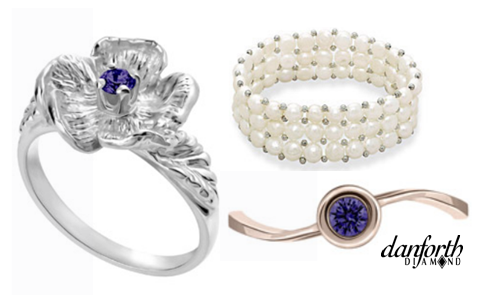 There are three gemstones that are associated with births in the month of June. Those stones consist of Pearl, Alexandrite, and Moonstone. The modern birthstone is Pearl or Moonstone, the traditional birthstone is Alexandrite, and the Mystical birthstone is Moonstone. Pearls were one of the favorite gem materials of the Roman Empire. They are unique because they are the only gems that come from a living sea creature and need no faceting or polishing to reveal their natural beauty. The first successful culturing of round saltwater pearls began in the early 1900s, and since the 1920s, cultured pearls have almost completely replaced natural pearls in the market. Alexandrite is a beautiful shade of green in daylight and fluorescent light. However, it does change color to a purplish red in incandescent light. It was discovered first in Russia in 1831 and some jewelers stock synthetic versions due to its rarity. Moonstone was given its name by the Roman natural historian Pliny. He wrote that moonstone’s appearance altered with the phases of the moon. Moonstones show a floating play of light. This is called adularescence and it sometimes shows either a star or cat’s eye. This gemstone occurs in many igneous and metamorphic rocks and comes in a variety of colors such as green, blue, peach, and champagne. From Pearl, to Alexandrite, to Moonstone; whichever you choose for your birthstone, Danforth Diamond wishes all of our June babies a Happy Birthday! Do you or a loved on have a birthday in June and need a piece of jewelry to celebrate. Browse are jewelry section for your perfect gift today. Danforth Diamond, your online engagement ring expert, is launching a facebook sweepstakes beginning September 19, 2011. Five lucky winners will receive fun and elegant silver or gold pieces from Danforth Diamond’s jewelry collection. A grand prize winner will receive a one carat cushion cut diamond! The one carat cushion cut diamond has an ideal cut with G color and VS1 clarity. There is no fluorescence, and it is GIA certified. The retail value of the diamond is $5,585. The first five prizes include a sterling silver bracelet with butterfly charms valued at $150, a sterling silver bracelet with three stretched oval gold dust links valued at $185, 14K two tone gold hoop earrings valued at $460, a sterling silver bracelet with ladybug charms valued at $230 and a 14K white gold diamond cluster necklace valued at $600. Drawings will occur every Monday for 6 weeks starting on October 10th! 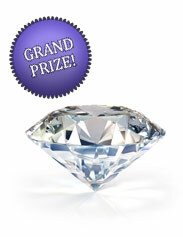 The grand prize winner will be drawn on November 14th and the winner will take home the diamond! To view all of the prizes please visit danforthdiamond.com. Drawing will occur every Monday for 6 weeks, starting on October 10th! The grand prize winner will be drawn on November 14th and the winner will take home the 1 carat diamond! To view images of the prizes, please visit http://www.danforthdiamond.com/super-6-sweepstakes. Kate Middleton has chosen five bridesmaids, ranging in age from five to twenty-five, to stand by her side as she officially becomes royalty. There is hype not only surrounding Kate’s gown but also surrounding the gowns of the bridesmaids. While some information about the wedding has been revealed, such the baker of the royal wedding cakes, we have received no information regarding the designer(s) of the bridesmaids’ gowns or the royal gown. According to legend, the bride and her bridesmaids would dress alike in order to protect the bride from potential kidnappers. In the middle ages, men would often capture a bride from a neighboring town if there was a shortage of women within his community. It seems that the royals have loosely followed this tradition by modeling their bridesmaids’ dresses after their own. Princess Diana’s bridesmaids, mostly young girls, wore white dresses resembling the royal gown, especially in the sleeves. Also according to royal tradition, the same designer is used for all dresses, which naturally weaves a similar touch through all the gowns. Perhaps Kate will stick with tradition and model her bridesmaid’s gowns after her own! For now, we will have to wait and see! Speaking of bridesmaids, we are often asked, “When is the best time to hand out bridesmaids’ gifts?” We suggest handing out your bridesmaids gifts during the rehearsal dinner! Waiting until the day of the wedding may put more stress on you, which is the last thing you need on your wedding day! 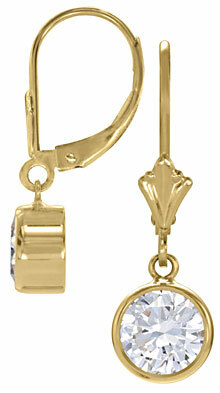 Also, a very popular gift to give bridesmaids is jewelry that they can wear on the day of the wedding! Check out our bridesmaids’ jewelry at danforthdiamond.com. 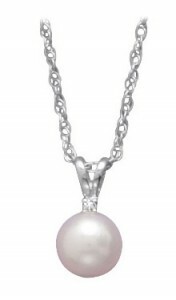 Jewelry, especially pearl jewelry, is a gift that is useful for the wedding day and your bridesmaids’ can wear beyond the wedding day. We understand the excitement and confusion that come along with buying an engagement ring! You search and search for the perfect ring that will take your girlfriend’s breath away yet you must stay within a reasonable budget. Visiting local jewelry stores allows you to talk to a sales representative face to face and to hold the jewelry in your hand but it also gives you fewer choices and you end up spending more money. Our sales representatives are always here to help you! They respond quickly to e-mails and phone calls and are happy to spend time with you on the phone to discuss any and all rings you may be considering. Our sales reps will pull up the picture and a sample ring (if it is available) and do the best they can to describe ring measurements and details. Also, our jewelers are in-house and can quickly respond to technical and theoretical questions. We can let you know if alterations can be made to the ring without going through a third party. This lets you easily create a unique and special ring that fits your exact personality. Buying an engagement ring over the internet can be an intimidating and uncertain procedure but it also gives you the opportunity to get a better value on your engagement ring without sacrificing quality. Buying a ring from danforthdiamond.com will save you 40% off retail prices because of lower overhead, not lower quality! You pay 40% less because we don’t have to pay store leases. Yet we still demand high quality and carefully inspect every ring before it is sent out the door. It may be difficult to trust web photography and grasp the true look of a ring from multiple images and rotating pictures. For this reason we offer a 30-day no questions asked return policy to give you the opportunity to inspect the ring yourself. Furthermore, our sales representatives are happy to take additional pictures and e-mail them to you or answer any questions you might have on the look or measurements of a ring. Because all of our rings are made to order, you have a much larger selection when buying online from danforthdiamond.com. If you find a ring on danforthdiamond.com or on any other site that you would like to adjust in order for it to be perfect, give us a call or send us an e-mail and we will see if we can make the ring you have in mind! Buying online gives you ample time to peruse the site and thoroughly check each and every option WITHOUT the pressure to buy! You have a gorgeous sparkly diamond engagement ring on your finger and the metal shines like new fallen snow, here are some hints on keeping your engagement ring in tip top shape for a long time to come. Fill a small bowl with 1/3 cup of ammonia and 2/3 cups of hot tap water. If you are working near a sink, be sure to seal the drain to prevent losing your precious stones. Soak your engagement ring in the solution for about five minutes. To remove caked on dirt such as cooking sauces or play dough, soak your engagement ring for ten minutes. After your ring has soaked thoroughly, remove it from the solution and gently scrub the prongs and band with a soft toothbrush. Avoid scrubbing your diamonds directly because you may scratch them and do not use an old toothbrush because toothpaste remnants are too abrasive for your engagement ring! Rinse your ring under warm running water – make sure the drain is closed! Dry your ring on a clean soft cloth and enjoy the renewed sparkle of your engagement ring! It is also a great idea to have the prongs that hold the diamonds in your engagement ring checked by a jewelry professional one time per year to make sure all is well and that none of the prongs have loosened up. A ring purchased from danforthdiamond.com and still under warranty comes with a free yearly cleaning and tightening. If you follow these simple suggestions your engagement ring will continue to look great year after happy year! Our time in New Orleans has been a blast so far! On Sunday we attended three parades, a barbeque, and a good ‘ol New Orleans style crayfish boil. The parades are unlike anything I have ever seen! It is a great tradition and so nice to see the community coming together with pride for the city of New Orleans. We have attended the parades held by the Krewe of Thoth, the Krewe of Endymion, and the Krewe Bacchus. The Krewe of Thoth was my favorite! Thoth is known for it’s generosity and creativity. They host very child friendly parade and their parade route passes the Children’s Hospital, a home for the blind, and a retirement community. The theme was “Thoth Goes to College” and each float was themed around a different major. The crowds were so excited as the cheered for the passing floats! The crayfish boil was something very new to me as well. It is a whole lot of work for a small amount of meat but well worth it! The cajun spices were the perfect addition to the boil! Today we are taking it easy and resting up for the big day! After rummaging through my mother’s closet and scouring the racks of trendy discount stores, I am equipped with feathers, sequins and glitter galore! I will squeeze my swabs of purple, green and gold alongside my Danforth Diamond Mardi Gras beads, business cards, ribbons, and other promotional items! I am excited not only to experience the thrill of Mardi Gras on Bourbon Street but I am also excited to commence the Danforth Diamond Mardi Gras Contest by handing out the first of thousands of purple bead necklaces. My friends and I will be passing out the first beads on March 8th at 8:00am during the Zulu Parade. After Zulu, we will head to the largest parade of the Mardi Gras celebration, the King’s parade! The Krewe of Rex hosts this elaborate parade at 10am in Uptown New Orleans. So look for us on the streets and visit danforthdiamond.com on March 8th! Anyone can register for the Danforth Diamond Mardi Gras Contest and have a chance of winning a diamond necklace! I can’t wait to see you all there! Kate and I are flying down to New Orleans on Saturday and will have to survive a full two days of parades before the marketing campaign and Danforth Diamond contest begins! Follow us on Facebook, Twitter and the Danforth Diamond Blog to get an inside look at Mardi Gras in New Orleans! Come see our large collection of engagement rings, weddings rings and diamonds. We are 40% off or retail jewelers and we offer exceptional customer service and personal advice when purchasing your fine jewelry. Call us or visit our jewelry store today! You'll be glad you did. Visit us at DanforthDiamond.com to find the perfect engagement ring at 40% off of retail. A Wedding Band for Infidels! The Bachelorette, Emily Maynard… Who will she choose?